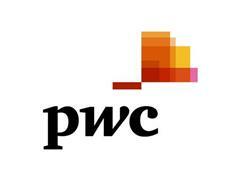 PwC has appointed Kelly Barnes to lead its Health Industries practice globally. In her new role, she leads a team of more than 12,000 professionals around the world that advise clients in the health industry across the payer, provider, government, pharmaceutical, and life sciences sectors. Kelly led the US and Asia Pacific health practices and will retain these roles. A partner in the US firm, Kelly established PwC’s highly regarded US Health Research Institute. She also leads initiatives regarding public/private collaboration to create greater value in health systems and to help shape the dialogue around the future of health systems globally. ”We’re operating in a new health economy; a hyper-connected, consumer-oriented world in which health systems around the globe face near universal challenges - rapid digitisation; a rise in the spread of chronic disease, declines in health across populations, and shrinking resources to fuel innovation and build infrastructure. In these times of unprecedented change, major industry players need to build greater resiliency." PwC has one of the largest health industries practices advising a diverse client base that also includes policy makers, biotech, medical device manufacturers, investors and new entrants. 1. Aside from her professional achievements, Kelly Barnes a recognized commentator on topics ranging from the future of the U.S. health system to strategic and financial planning as well as business transformation. Her professional accomplishments in the US, include service with Healthcare Business Women’s Association and the University of Arkansas Women’s Giving Circle. Kelly is active in the International Women’s Forum (IWF), the Leadership Dallas Alumni Association, and supports local educational efforts at various elementary schools that focus on the arts and underfunded programs. 2. Kelly earned both her undergraduate and graduate degrees in accounting from the University of Arkansas.